The Perfect Chili is now available for delivery to you! 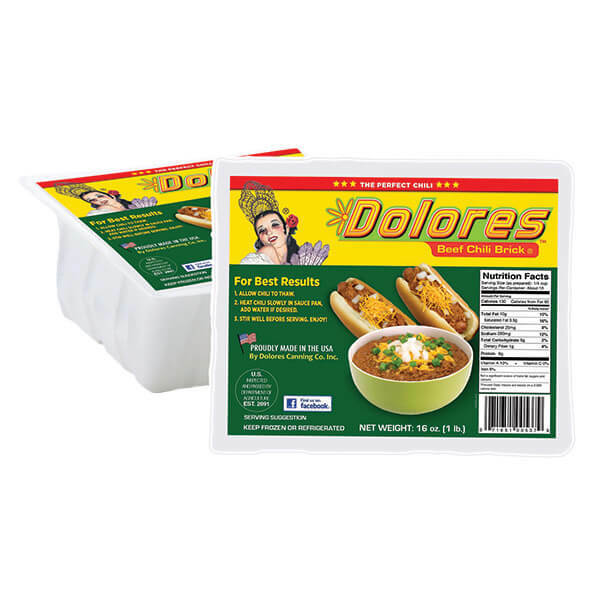 Our World Famous Dolores Chili Brick is shipped to you in a convenient 6-pack of our 16-ounce retail trays along with ice packs to keep it cold. 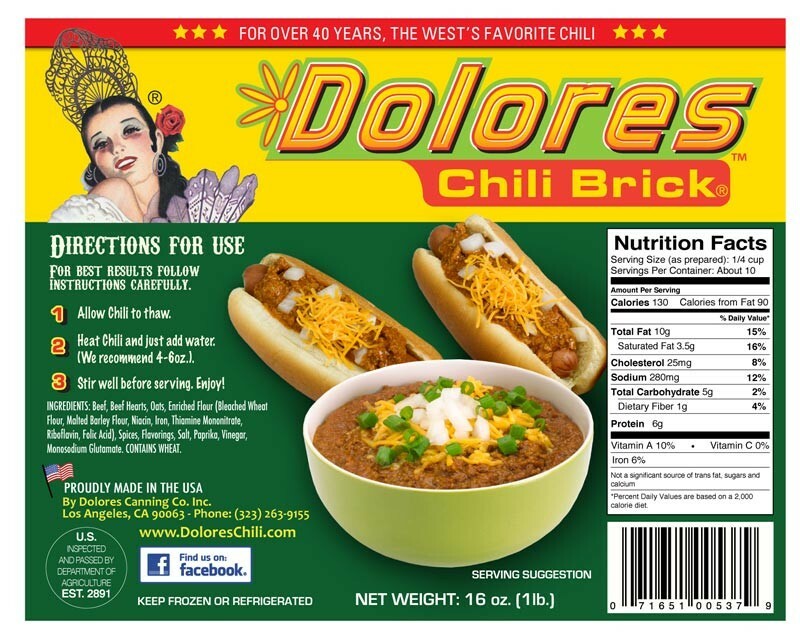 Add water or beans to our Chili Brick or use it as a base for your Chili Recipe. Each 16-oz. Chili Brick will make enough Chili for about 4 people! So this is a great value.